The Birds Nest Fern (Asplenium australasicum), is so named because the centre of this large fern resembles a bird’s nest. The large leathery evergreen fronds have a slightly curved tip and have been known to grow up to 80cm long in warm moist climates. 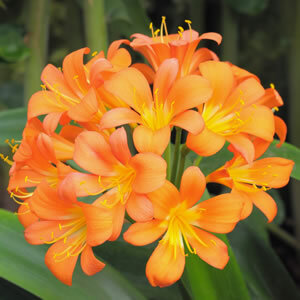 Can be grown as an epyphite, but is also at home in a pot in a well drained sheltered position or even indoors in a humid environment. This Australian native fern prefers a warm moist shaded spot and is native to eastern NSW and QLD. Clumps can reach a large size over time. Ideal for a shady garden or pot.